Flip a coin. 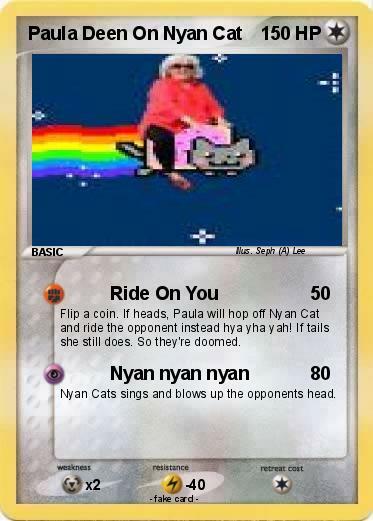 If heads, Paula will hop off Nyan Cat and ride the opponent instead hya yha yah! If tails she still does. So they're doomed. Nyan Cats sings and blows up the opponents head.